Shopping for a Preowned RV? See us in Pensacola and meet with our Expert Team. 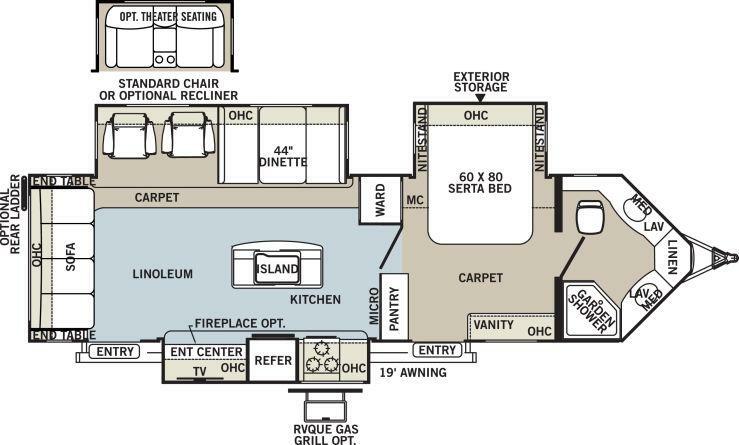 Consider this gently used 2014 Forest River Flagstaff V-Lite 30WIKSS Travel Trailer model. Cozy and quaint décor and furnishings. Private bed and bath suite up front. Rear living room too. 3 slides and sleeping for 6. Great for any level camper!